Today I got my happy mail from MFT and in it was my Let's get Nautical dies. I just love nautical and wanted to us them for my sketch challenge slash father's day card. 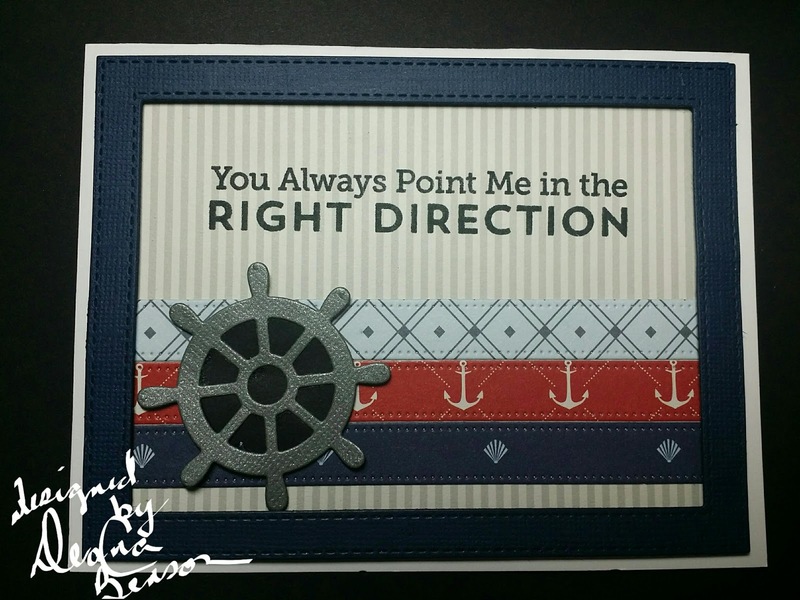 My cardstock is from DCWV Seaside Yacht. I used MFT Blueprints 13 to cut the background. Then I used MFT Blueprints 3 to cut the strips. The frame is Bazzill Admiral cardstock and is cut using the MFT Stitched Rectangle Stax. The helm is from MFT Let's Get Nautical and the sentiment is from Go Overboard. Thanks for dropping in, come back soon. Wonderful paper choices. Love the nautical papers and theme. So glad you played along at MFT! Thank you! I enjoyed it!